I stumbled upon (and I'm not talking about the site) on this free ebook that offers the ultimate collection of free and paid Internet Marketing tools and WordPress plugins. Even though this blog is to review Social Media sites and apps, I think this ebook offers a lot of value for my Social Media friends. 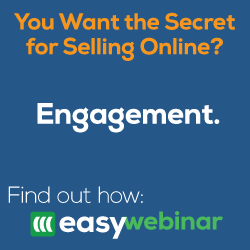 A lot of tools mentioned here are not only used for Internet Marketing but also for blogging, social networks, graphic design, and so many other things that I thought not offering this ebook on my blog would be a disservice to you all. 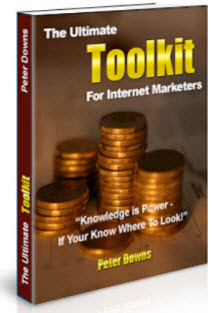 The ebook is called "The Ultimate Toolkit for Internet Marketers" and it's composed of 37 free tools, 23 paid tools, and 30 top WordPress Plugins. The author Peter Downs really did a great job and compiling this ebook. Do you have any resources you would like to share with us? Share them in the comment section below. 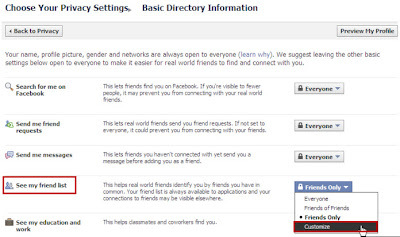 FAQ: How do I make my Facebook Friends List private? This use to be as simple as clicking on the little pencil on the Friends box on your profile but after all the latest Facebook privacy changes this too has changed. But not too worry, it's very simple. If you don't want your friends list to be visible to everyone or even your friends you can choose to make them only visible to you. After all you don't want to hurt any one's feelings if they don't like the friend list they are currently in, right? 1. 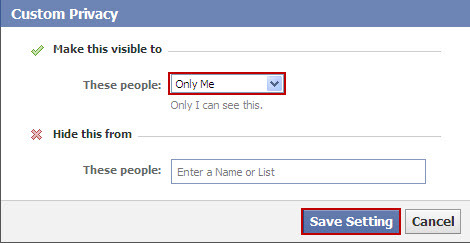 Click Account > Privacy Settings. 2. Click View settings link under Basic Directory Information. 3. 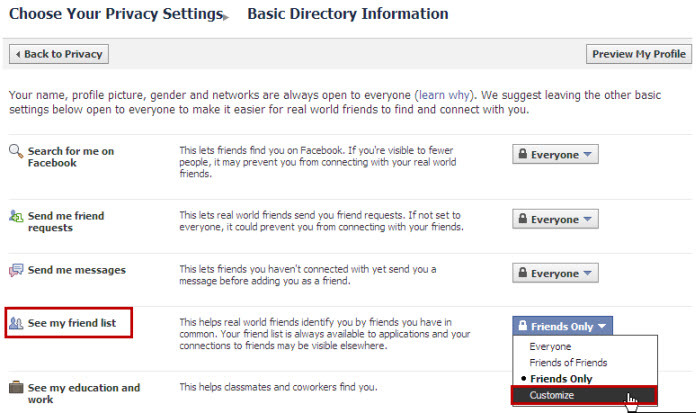 Select Customize under the section "See my friend list". 4. From the pull-down menu under "Make this visible to" section Only me. Did this help? Let us know in the comment section below.